Barbizon Lighting Company Blog: Barbizon Boston teaches classes at the New England Drama Guild. Barbizon Boston teaches classes at the New England Drama Guild. Recently the Technical Services Department participated in the New England Drama Guild finals which were hosted by Andover High School in MA. All of New England was represented by the finalist schools. Barbizon's Boston office presented workshops for the students over the course of the day. Barbizon's Tracey Coste said about the event, "We felt this was important because, as former high school students in New England, we knew that there weren’t many places to get technical guidance at the high school level. As it turned out, we were correct that this was an area of need. While on site, we were thanked repeatedly for offering a technical option since the students are generally only exposed to the artistic side." 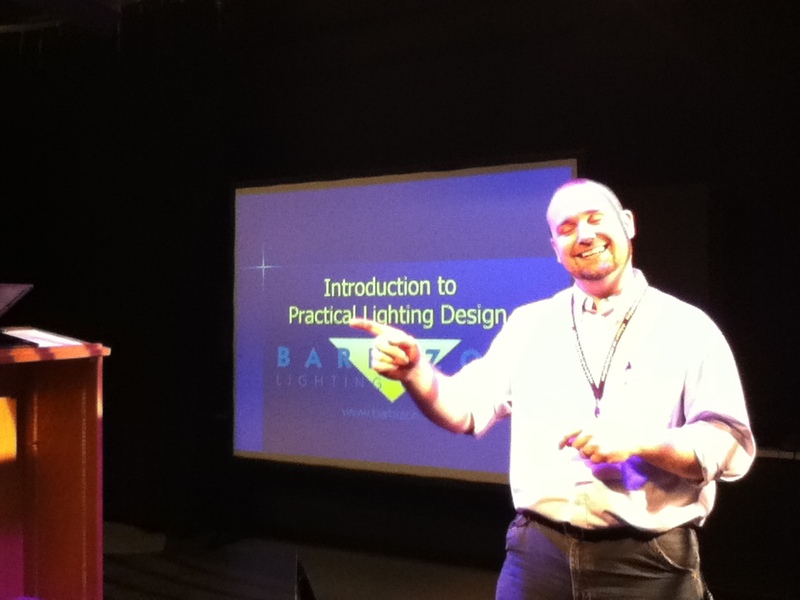 This workshop will explain the basics of a lighting system from the console through the wiring and finally out to the fixtures. It will discuss circuits vs. dimmers vs. addresses vs. channels as well as a brief explanation of the data path. This workshop will introduce people how to use tools such as Angles, Timing, Color and Templates to enhance a performance.